A beautiful classic graduated three stone ring with round cut diamonds. Pretty crosslink detail under the stones, and a slim tapered plain band. 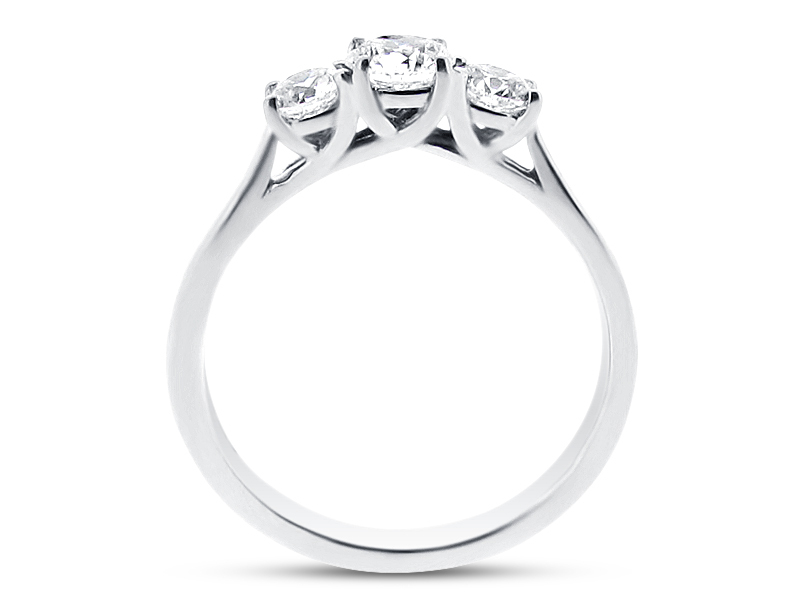 This style can be set with different gemstones in 18k yellow, white, or rose gold, or platinum. 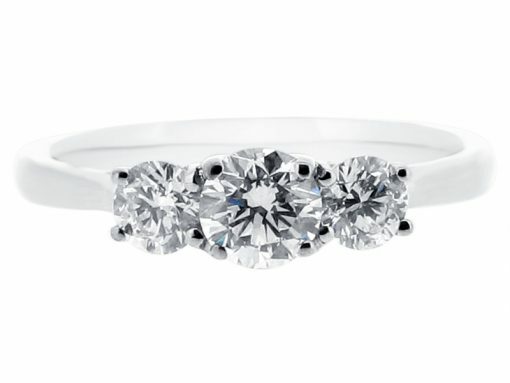 A straight wedding band sits nicely with this ring. Please contact us to set up your appointment today. Discuss your preference with one of our knowledgeable consultants and receive a quote for your very own unique ring.